Budget Range listed includes interior design fees & cost of furnishings but does not include any construction or renovation costs. When my wife and I began the journey of building a new custom home for our family, we knew that finding someone who would be able to help us navigate the hundreds of decisions about the finishes was going to be tough. We were initially worried about finding that special design talent who could truly listen to all of our wants and desires and who could get a feel for our tastes and work well with our Architect. After finding Lauren and sending her our inspirational images, our initial worries were immediately put to rest! Her positive, can-do, friendly spirit are second only to her amazing design instincts and abilities. She was able to efficiently walk us thru the realm of creative possibilities space by space in a way made it clear that she really listened to our desires and seamlessly blended our tastes with her amazing design skills and ultimately led us to an end product that is so much more beautiful than we dreamed possible! We cannot say enough about how awesomely talented Lauren is and we definitely highly recommend her! 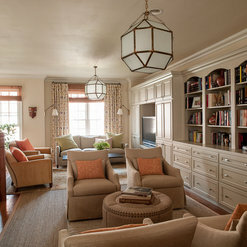 I highly recommend working with Lauren Liess Interiors. Lauren helped me completely re-design our family room. The entire process was smoother than I expected. Lauren and her staff were fantastic! Lauren was able to take our requirements and budget and transform our room into a beautiful place our whole family can relax and play in daily. I cannot thank her enough!!! I have been working with Lauren for about two years on virtually my whole house - so far we've done the living room, dining room, kitchen, porch and basement, and are currently working on the guest bedroom/bath and office. She and her team are a pleasure to work with and the craftsmen that she uses are top notch. After looking through my inspiration photos at our first meeting, Lauren was immediately able to put her finger on my style and find threads of preferences throughout the various images that I hadn't even noticed. There are times when she gently encourages me to stretch outside my comfort zone a little, and while that can be a little scary at first, it has resulted in some of my favorite items/features in the house. At this point, I trust her completely and know that if she says something is going to look good, I'm going to love it. When people see my house, they say (1) "it looks amazing!" and (2) "it's so you! ", which I think is the greatest compliment to Lauren and her work - she has created a space that is both gorgeous and very personal to me. I can't wait to see how the remainder of the rooms we have to do turn out. 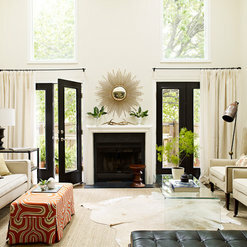 Lauren Liess Interiors designed our dining, family, and living rooms as well as our foyer and the results are gorgeous. They did a wonderful job of creating the exact feeling we wanted. Lauren is amazingly talented, creative and sweet and it is a pleasure doing business with her. Lauren did a fantastic job of listening to me so that she could understand what I like, don't like, how I use my space, what I wanted to acomplish with the project, and what would feel like home to me. She pushed me just enough outside of my comfort zone when she knew it would benefit the end result, and ultimately Lauren created a space that is comfortable, beautiful, and feels like "me." She was very conscious of my budget, and she happily tweaked things in her plan if they didn't feel quite right to me. It was hard for me to hand over control to someone else, and Lauren was patient and understanding. 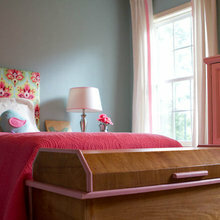 Lauren is able to adjust to her client's style, but ultimately everything she creates is beautiful, fresh and livable. I would absolutely hire her again. Lauren and her team are great to work with! 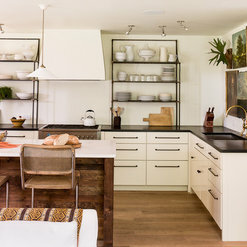 Lauren's vision for a room is spot on every time and she can create a space that is exactly what you need. Budgets are kept to, timelines are reasonable and installation is seamless. I can't wait to work with her again! Lauren was great to work with from beginning to end. After surveying my needs and wants, and most importantly the feel that I wanted in my room, she delivered a beautiful space that I love to spend time in and that is representative of me. On top of that, she is a wonderfully kind hearted person and so she was a joy to work with. I'm hoping to conspire with Lauren on another room of my house in the future! Lauren and her team are INCREDIBLE. They helped us transform our family room and home office into spaces we absolutely love. Lauren worked closely with us to understand our needs and walked us through the design process step-by-step. She was able to take the vague concepts and ideas we gave her and turn them into exactly what we wanted! Her designs incorporate both modern and traditional elements, and she has an amazing talent for creating spaces that feel both personal and beautiful. Her team is a pleasure to work with, and we can't wait to tackle our next project with them! Prior to starting our whole-house remodel we hired Lauren Liess to help us plan and decorate for our new spaces -- master bedroom, living room, family room, dining room. 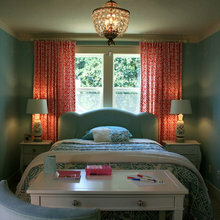 She picked paint colors for the whole house and selected lighting fixtures. We are very happy with the end result! Commented: Love the wall colors!Thanks! I'm not sure of the paint color... it was there before we started the project! Sorry &amp; best of luck! Commented: I love the choice of Flooring used!I'm not sure... it was in before we began the project. Sorry!